The just concluded Holy Month of Ramadan was for Muslims a period of fasting, sacrifice, giving, piousness and self-training with the hope that these qualities will extend beyond this month and stay with us throughout the year. Indeed, the essence of fasting in Ramadan is spiritual. Nevertheless, this Holy Month also offers a number of benefits for both the mind and body. It has been narrated that Prophet Muhammad (Peace Be Upon Him and His Family) said, “soomotsahhoo”, which can be translated to mean, “Fast and be healthy.” The International Congress on “Health and Ramadan” held in Casablanca, Morocco in 1994, covered 50 studies on the medical ethics of Ramadan and noted various improvements in the health conditions of those who fast. If any negative effects were seen at all, it was in those who over-indulge in food at iftar or do not sleep well at night. You should also keep in mind that if fasting will be dangerous to your health, such as in Type 1 diabetics, you are not recommended to fast as your medical condition may worsen. For those of you who can fast, read on to learn about some of the incredible health benefits of fasting on our overall well-being. There is intense spiritual meaning to Ramadan for those who fast. Muslims practice generosity by being charitable; family-bonding by gathering around the iftar table; spirituality by praying; and self-control by practising good manners. All these habits build a feeling of peace, tranquility, and self-satisfaction. A study conducted in 1997 in the Annals of Nutrition Metabolism demonstrated that fasting lowered bad “LDL” cholesterol levels by 8 per cent, triglyceride by 30 per cent, and increased good “HDL” levels by 14.3 per cent, thereby protecting your heart from cardiovascular disease. This can be explained by our eating and exercise habits. 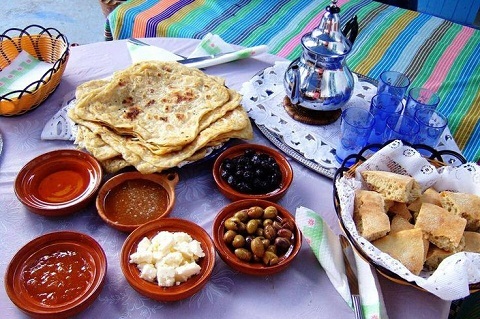 During Ramadan, people tend to go for healthier options such as dates, nuts, lentil soup, and home-cooked meals. Studies have noted that overall saturated fat consumption, usually found in butter, lard, fatty meat, and fast food, is reduced in Ramadan. In addition, the night prayers of “tawarih” may provide an adequate level of physical activity equivalent to moderate physical activity which, for some, may be more than they usually exercise. Addictions can come in all shapes and forms and Ramadan provides an excellent opportunity to ditch them. Because Ramadan teaches you self-restraint for most of the day, you will come to realise that forgoing your addiction altogether may not be as hard as you think. Choose one addiction to drop during Ramadan – it could be an addiction to smoking, lying, chocolate, or even gossiping – and say your good-byes. There is an overall decrease in calorie consumption during Ramadan. Of course, if you’re binge-eating on Arabic sweets that’s not going to happen. However, if you maintain your usual eating habits, you are very likely to eat less amounts of food and lose weight. This is especially true in Ramadan, when your source of energy during your fast is mainly fat. Trying to stay lightly active during the day can promote even more fat breakdown. Ramadan may be the perfect opportunity to retrain yourself and get back on track to eating healthy. When you fast, you learn to control your cravings. As a result, by the end of Ramadan you’ll have stronger willpower and you will have regained the strength to say “no” to tempting foods and/or habits.